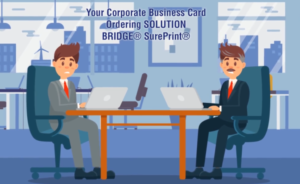 Branding Your Company in Chicago (Business Card & Printing Design) April 23, 2019- Standing out in the largest city in the Midwest, Chicago, can be a difficult and tiring task. However, the endless branding opportunities the city offers are well worth the effort. So You’re in Sales – Have You Learned to Love Selling April 12, 2019- I began wondering about my sales job and questioning if the only thing I loved was getting the sale and not the process. Promo Product of the Month: Custom Print Golf Glove April 1, 2019- As the weather gets warmer and spring starts to show its face, people are turning to out door activities like golf. Are customers finding you while they're out making these lasting memories? 3 Reasons Print + Promotional Services Aren’t Dying (Direct Mail) March 27, 2019- People that say print is dying haven't seen how print and promotional products can help increase customer response rates by 30%. Read all the reasons below to find out how to use print and promo to its full potential! Product of the Month: Video Business Cards March 4, 2019- Stand out from the crowd at events with these video business cards!